In this paper, we report the doping effects of succinic acid, C4H6O4 (from 0 to 30 wt%) on the lattice parameter, critical temperature (T c), critical current density (J c), upper critical field (H c2), and irreversibility field (H irr) in MgB2 superconductor. 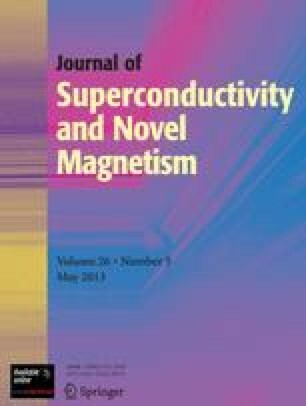 It was found that MgB2 doped with 10 wt% C4H6O4 and sintered at 900 °C exhibited excellent J c above 104 A cm−2 at 5 K and 8 T. Impurity scattering due to C substitution, improved crystallinity and the least amount of MgO in 10 wt% doped sample improves J c very significantly. The MgO amount is rapidly increased in 20 and 30 wt% doped samples which causes a strong depression of J c, H c2, H irr due to poor inter and intra-grain connectivity. This work was supported by the Research Fund of small URC (University Research Council) and UIC (University International Collaboration), University of Wollongong; Australian Research Council (grant no. LP120100173) and Ankara University under grant contract no: 08B4240004 and also by the Turkish Research and Scientific Coucil (TUBITAK) under grant contract no: 109T106.